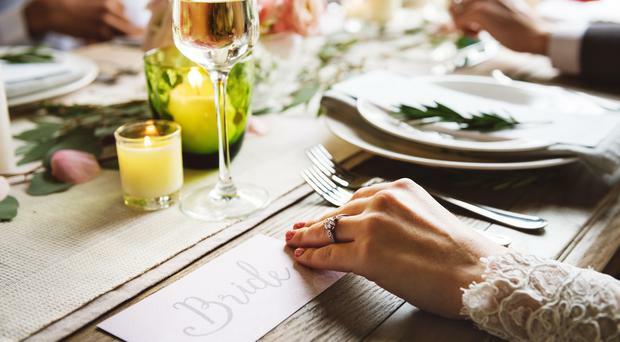 Weddings it seems are becoming increasingly elaborate affairs, but one wedding guest found out just how complicated tying the knot has become when she was left in a "bizarre" nuptial predicament this weekend. Taking to Mumsnet to tell her story of a "cringy" situation avoided at the 11th hour, the wedding guest explained how she had been looking forward to the wedding for a month only to discover at the last minute that she had misinterpreted her invitation completely. "Major embarrassment narrowly avoided and I'm cringing at what might have happened," she said in her opening line on the forum, before explaining how things went wrong. The woman told how she had bought two outfits (hoping to return the one she didn't choose on the day) booked a hair appointment and "even lost a few pounds" before the big day, admitting that because she and her husband don't get to a lot of weddings she had "completely over invested." However it was when she went to check the invite for times that she discovered that she was not actually invited to the full wedding celebration. "Checked the invite for timings this morning and realised we haven't actually been invited to the whole thing. Just the ceremony at 1pm and then the evening do at 7pm." Forum users were quick to respond, remarking that the invite was 'rude' and conveying their bafflement at what the wedding guest was meant to do with her time between the two events. "So bloody rude," said one user. "'Come see me get married, buy me a gift, then hang around for six hours and come for a drink in the evening so I don't have to feed you'?" "You're supposed to go to the church, sit around for ages and get your own food and then go for the party only? So unbelievably rude," another commented. One user remarked that "A special kind of entitlement has risen up about weddings in the past decade or so. So much that exceptional rudeness is now seen as normal by many people." Others said that while they agreed that evening invites are sometimes necessary for weddings, having to busy oneself between the ceremony and late night drinks while other guests had dinner was an unusual situation. "I sort of understand only inviting people to the evening drinks bit if numbers/money is tight (but I wouldn't do it!). But inviting people to the ceremony and the evening part but not the bit in the middle is odd!" one user noted. Another said a friend did this at her wedding, but added that "you can only get away with it at church weddings." "Apparently this is a thing now!" "Apparently this is a thing now!" remarked one user. "I think it's pretty rude actually to expect people to get dressed up for the ceremony, no doubt be part of pictures etc, then bugger off for six hours to return for a few vol-au-vents whilst people they like more spend that time with the bride and groom having a fancy meal and getting p*****." While the debate raged online, the guest attended the wedding celebration, and kept the forum users updated on how the day panned out. The wedding guest explained how after the ceremony a small crowd had gathered under a tree and out of the rain. "We could hear them discussing where to go for the afternoon out of the rain. So we weren't the only ones." She added that her husband re-read the invitation again as they were so worried about getting it wrong. "No phone calls summoning us this afternoon though so hopefully we have avoided any faux pas!" The guest concluded that the arrangement suited her as she was able to go home during the official reception before returning for the evening celebrations. "I just hope any future invitations are worded a bit more clearly," she said.